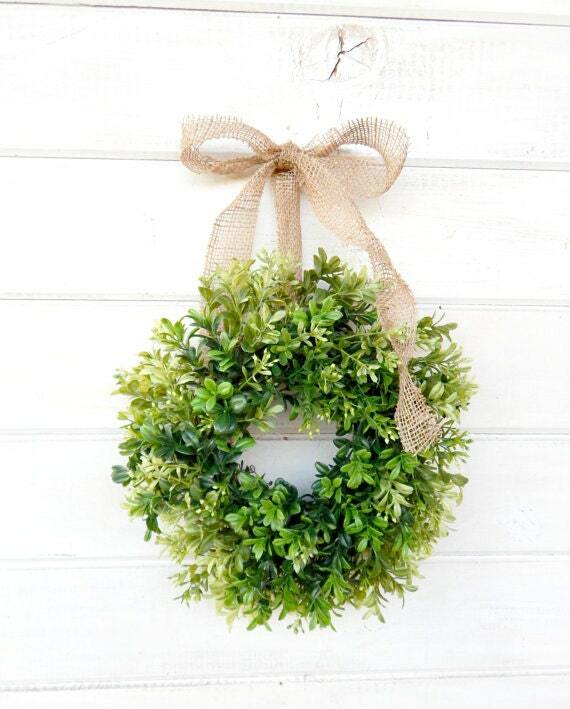 Hanging from a Satin Ribbon, this small grapevine wreath is covered with Artificial Boxwood Foliage. Looks cute hanging in your bathroom, kitchen or window. 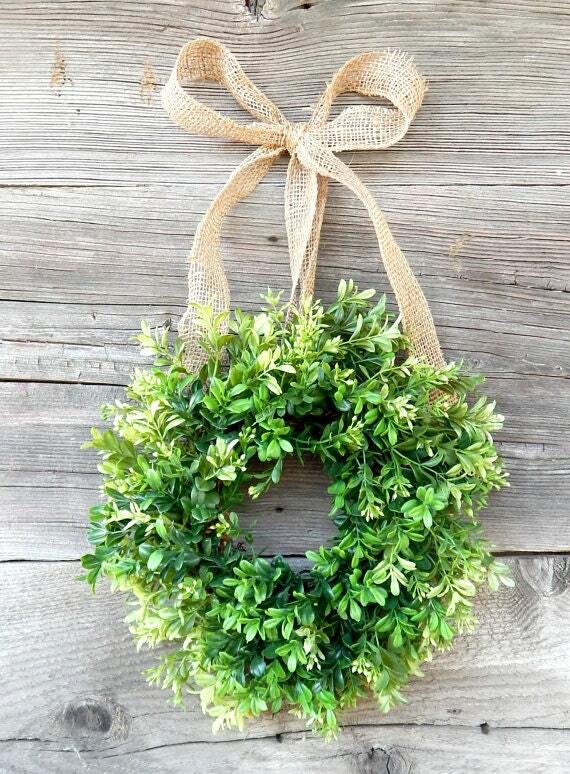 Use this wreath as a CENTERPIECE for your WEDDING OR HOME DECOR!!!! Perfect... just what I wanted. My mini wreath was shipped as promised. Just how it looked in the picture. Loved it. Shipping was fast, and was perfect for my window decoration on my wall.